James Packer’s Crown Resorts has asked the Victorian government for an extension to its permit to build One Queenbridge tower in Melbourne. Victoria’s Planning Minister, Richard Wynne, gave Crown permission to build the Southbank development back in March 2017. Crown and Schiavello, its development partner on the $1.75 billion project, were given two years to begin construction. However, nearly two years down the line and nothing has been done about the ambitious 323 meter-tall building that is set to become Australia’s highest skyscraper. In 2016, Labor approved Crown’s request to build the tower, despite there being no public notice. Wynn then went on to approve its construction despite extremely strong opposition from City Council. The entire project has been controversial from the beginning, starting with Crown Casino founder, Lloyd Williams being caught on camera telling the-then opposition leader, Labor’s Daniel Andrews that James Packer would “kick every goal he can for you.” Andrews went on to become Premier in 2014’s state elections. Crown is one of the biggest political donors, according to The Age. The former chair of finance for Melbourne’s City Council, Stephen Mayne slammed the Planning Minister for approving the building in the first place. ”It was a dark day for planning in Victoria and it should now not be renewed in any way, shape or form… because it was a corporate sweetheart deal negotiated personally between James Packer and Daniel Andrews,” he said. 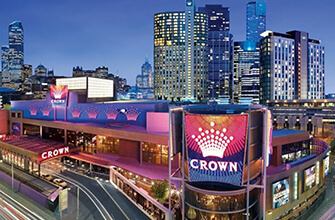 It has been confirmed by the Planning Minister’s office that a request to extend the building permit was submitted by Crown Casino. ”We have received the request for an extension of time and will now assess this request through the normal process and keep the community informed on the outcomes,” said a spokeswoman for Minister Wynne. The Age hints that the building construction is being delayed because of the exorbitant costs involved in the construction, and the fact that neither Crown nor Schiavello are keep to risk these costs.